Up to now, the brain’s magnetic field is measurable only under technical laboratory conditions. This technique is therefore not feasible in terms of the broader medical use, although it would be significant for diagnosing numerous conditions such as epilepsy and dementia, or even for improving therapies such as deep brain stimulation for treating Parkinson’s disease. Three research teams at Kiel University (Germany) have now jointly developed a new type of magnetoelectric sensor, which is intended to allow the use of this important technology in the future. The scientific breakthrough: As opposed to conventional magnetoelectric measuring techniques, the new sensors operate at normal conditions. Neither cooling nor external magnetic bias fields are required. A new article in Nature Materials describes the design and properties of these so-called exchange biased magnetoelectric composite materials. 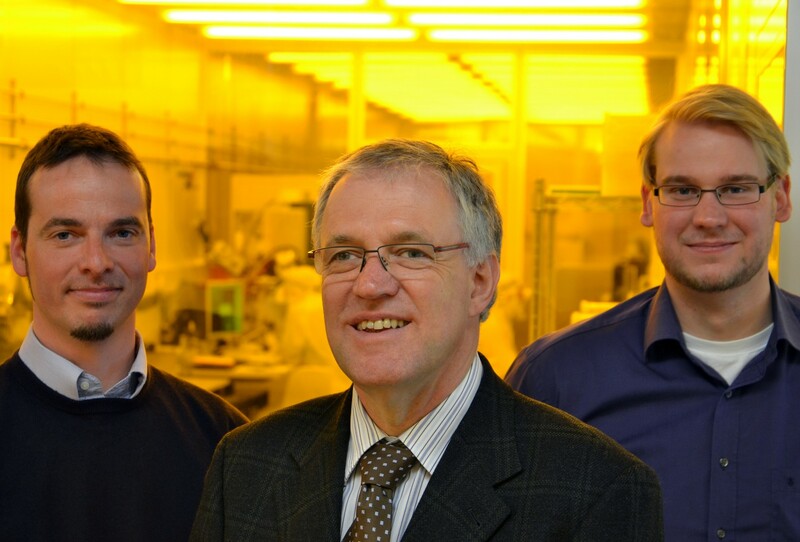 “Our composites with exchange biasing present an international milestone in the research of magnetoelectric materials”, says Professor Eckhard Quandt, senior author of the study and spokesperson of the Collaborative Research Centre 855 Magnetoelectric Composites – Future Biomagnetic Interfaces (CRC 855). “By eliminating the dependence on externally applied magnetic bias fields, we have removed a significant obstacle for the medical application of magnetoelectric sensors such as magnetocardiography and magnetoencephalography”. As the sensors do not affect one another due to their particular design, measuring arrays made up of hundreds of units are now conceivable. This would enable the production of flow maps of heart currents or brain waves. 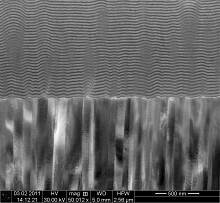 The new composites consist of a complex sequence of around a hundred layers of material, each of which is only a few nanometres thick. The magnetoelectric sensors contain both magnetostrictive and piezoelectric layers which, on the one hand, deform due to a magnetic field to be measured and, as a result of this, at the same time produce electrical voltage which is used as the measuring signal. Enno Lage who has been working on the study since 2010 explains its background: “With the conventional magnetoelectric layer systems it is only possible to perform such highly sensitive measurements if the sensor is subjected to a bias magnetic field. “What makes our composites so extraordinary are antiferromagnetic supporting layers made of manganese iridium, which act like magnetic fields inside the material", he adds. “This means that the bias field for the measurement is produced directly in the sensor and no longer needs to be provided externally.” A complete sensor is usually a few millimetres in size and contains a multi-layer of this new material, which is approximately a thousandth of a millimetre thick. 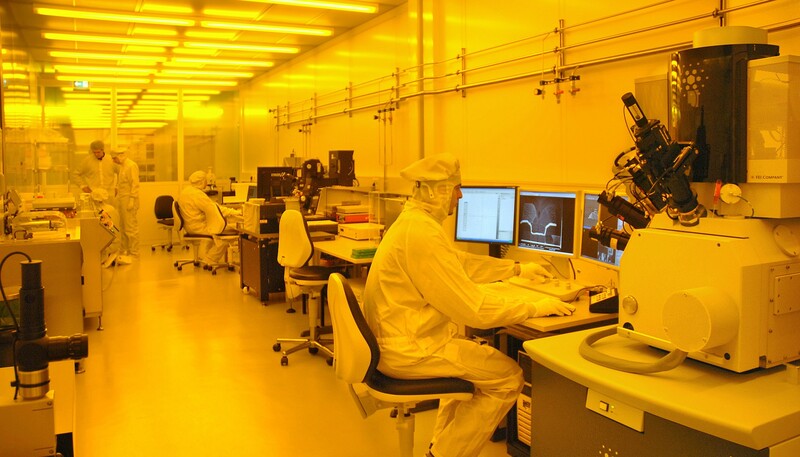 The new composite materials have been produced in the recently established Kiel Nano Laboratory’s cleanroom. “These types of sensor systems can only be produced successfully in this particle-free environment", says Dr. Dirk Meyners, who is scientifically supervising Lage during the doctoral degree programme. 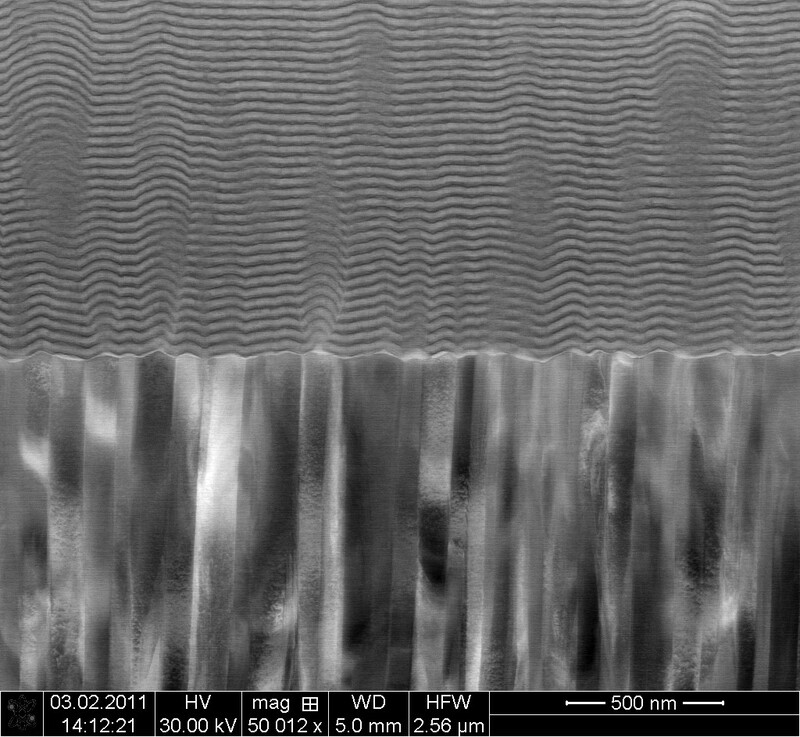 Caption 1: Cross-section of a new magnetoelectric composite sensor as scanned in an electron microscope: piezoelectric material (bottom half) and magnetostrictive material with integrated support layers (upper half).